Tips for Students | The College Funding Coach Tips for Students | Paying for college without jeopardizing your retirement! As a student, you’ve got such an awesome opportunity in front of you. The choice of which school to attend can be a life-changing decision. Choosing the right school for you will enrich and enhance your life, and can impact your future tremendously. However, the process can seem a little overwhelming. It goes without saying that to qualify to be accepted to your dream college, you’ll have to work hard, get good grades, and do well on standardized tests like the SAT and ACT. In addition, it won’t hurt to have a few extracurricular activities you are passionate about on your resume. From there, start to think about what criteria are important to you. Do you want to stay close to home? Do you want to go to school in a big city? Do you want to play sports? Do you have a particular major in mind? Once you answer these key questions, you should begin to consider a number of schools that fit your criteria. Remember, when you’re starting the process, they don’t all have to be schools that you think are the “perfect fit.” Every school will have a few advantages and a few disadvantages, so start by casting a wide net. We suggest you begin your search in your high school guidance, college or career center. The counselors at your school are probably very well-versed in helping students navigate this process and choose schools that are worth considering. They generally have tremendous resources that can be used to help you through this important decision. 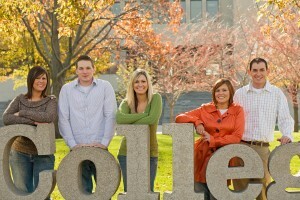 In addition, try researching schools through online websites such as CollegeBoard.org and Petersons.com. We also suggest that you take a few minutes to review our student-specific college e-books below. And remember, it is never too early (especially if you are a junior or senior in high school) to begin thinking about getting college scholarships. With your parents’ permission, we suggest you start with a site such as MeritAid.com, FastWeb.com, FinAid.org or Scholarships.com and researching scholarships for which you may be eligible. You may want to set up a separate e-mail address that is specifically for your college scholarship search–something like smithfamilycollegefunding@gmail.com. That way, you’ll have all of your scholarship information in one convenient place. And if you apply for a number of scholarships, you’ll end up with a very large file of e-mails. Remember, as well, that it’s never too early to apply. Many students wait until the second semester of their senior year of high school to apply for scholarships. Remember that many scholarships can be awarded long before the senior year. We had one family with whom we worked whose son earned a $25,000 college scholarship for winning first place in a national science fair–as a sixth grader! Plus, even if you might not be your class valedictorian, don’t be discouraged–there are a number of off-the-wall scholarships that are worth exploring. Take a look at this website for more on unusual and interesting scholarships for southpaws, duct tape users, and David Letterman aficionados. Here’s to your academic success! Humanities degrees have received a bad rap recently, even from President Obama. Many people, including top policy makers, routinely push policies to encourage more students to major in STEM fields (science, technology, engineering, and mathematics). Some governors have even suggested that state subsidies for public universities should be focused on STEM disciplines, with less money going to “less useful” degrees such as the humanities. Yet, in contravention to this perceived truth, the data show that humanities degrees are still worth a great deal. This e-book will help you understand everything you need to do to properly plan and prepare for college savings and admissions from 9th grade through graduation. If you plan to attend college, facing the enormous process called “admissions” is inevitable. But applying and being accepted to a college doesn’t have to be such a painful event. Except for the Ivy League Schools and a handful of very selective universities, colleges today admit a much higher ratio of applicants. Even the most prestigious colleges are spending huge sums to market themselves to prospective students.Yes, the student can be very selective about the college they wish to attend if you understand that this is a sales process–you are “selling” to the college while they are “selling” to you. Use the following sections as a guide to the ultimate goal of being accepted to the college of your choice. Step 1. Review the Top Ten Factors Considered in Admissions and your contractual obligations involved with each type of admissions plan. Step 2. Use this section to keep track of your admission’s deadlines and review the strategies that can help improve your chance of acceptance. Step 3. Use this checklist to make the admission’s application process work for you. Step 4. Showcase your abilities and talents by using this example to prepare your own personal Resume of Outstanding Achievement. Step 5. Use this checklist as a guideline for writing a successful admissions essay. Step 6. Use this checklist to ensure a successful admission’s interview. Choosing a career path is one of the most important decisions that students face today. Lack of planning forces many students to take five or six years to complete their college degree. That’s expensive! Many students receive degrees in declining-growth fields or fields with a surplus of applicants, and cannot find employment after graduation. That could be even more costly! A wise choice can lead to rewarding occupational experiences, opportunity for personal growth and the security of adequate income. It will also allow the family to maximize their educational investment in the student. But most importantly, follow your passions. Brock’s mom always told him a famous Confucius quotation, “Find a job you love, and you’ll never work a day in your life.” Pretty good advice. Step 1. Review your Personalized Career Assessment to conduct analyses of potential career paths, and match those paths with possible fields of study in college. Step 2. Review “The Top 100 Careers for the Next Decade” list as reference. Step 3. Review “The Top College Majors for the Next Decade” list as reference. Step 4. Gather specific information from additional outside sources for further research into your potential career path. Step 5. Conduct interviews with professionals in your prospective field(s) of interest to pinpoint the positive and negative aspects of your potential career path. Step 6. Prioritize your career selections. Still don’t know what you want to do when you “grow up?” Don’t worry–many people well into their careers are still trying to figure out what they want to to when they “grow up.” In fact, some of them are about to retire and still trying to figure out their mission in life. If you don’t know exactly what you want to do with your future, it will be alright. You can still be successful in life! Author Stephen Covey suggests that we begin with the end in mind. By taking some time to think about the career path that may be of interest to you, we think it can help you to envision your future and help to make choices to accomplish your goals and make your college experience much more rewarding. The main function of the campus visit is to insure that the college’s “personality” fits with the personality of the student. Once you have identified the colleges of interest, a direct campus visit will offer a clearer understanding of each college’s programs, policies and social setting. Only during this visit can the student experience the environment in which he or she will live and work during the subsequent four critical years. Step 1. Make visitation arrangements with the colleges that you have selected using the College Selection Navigator. Scheduling is recommended on a weekday, during the school term. Step 2. While on campus, you should ask strategic questions, including those from the Admissions Office, Financial Aid Office, Career Placement Office, Faculty, Athletic Department, and other students. Step 3. Based upon your evaluation of the responses, use Section 7 to rank your colleges. There are many other unique strategies that can help you save money on the cost of college. As we’ve said many times on this website, there is no “silver bullet,” and one size certainly does not fit all. That said, we encourage our students and their families to think outside of the box and explore all available options. Whether it’s searching for scholarships or using a strategy that will help to reduce the overall cost of college, we think that any of these warrants top consideration. Sponsored by The Southern Regional Education Board, The Academic Common Market is a consortium of 16 member states (Alabama, Arkansas, Delaware, Florida, Georgia, Kentucky, Louisiana, Maryland, Mississippi, North Carolina, Oklahoma, South Carolina, Tennessee, Texas, Virginia and West Virginia). Since 1948, the SREB has focused on critical issues surrounding the link between education and economic vitality. The board of the SREB is comprised by the governor and four appointees from each of the 16 member states. Today, this interstate compact is the most comprehensive in the country. For your purposes, we recommend that you take a look at the Academic Common Market program, if you’re considering a state school in one of these 16 states that is not your home state, or if you’re considering a major that is not available in your home state. The Academic Common Market has a great online tool that allows you to evaluate these options. 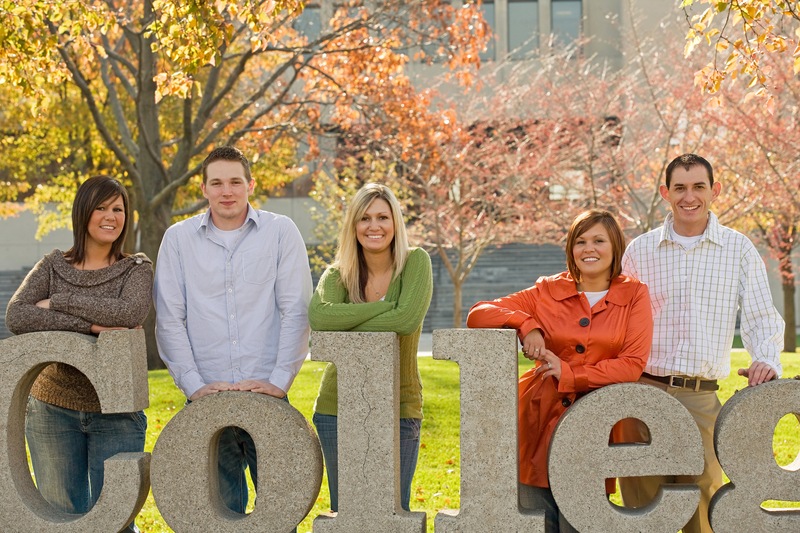 In many of the states in which we conduct business, there are special programs (called college partnerships or articulation agreements) that allow a student to start their college degree at an accredited community college and eventually earn a degree or certificate from a four-year college or university through a guaranteed admissions program. We have seen students save significantly on the cost of attendance by completing some of their credits at a community college and then transferring to a four-year college or university. The tuition cost at community colleges is about 40% of that of public schools, and about 10% of that of private institutions. This strategy is not right for everyone; but it can be a big money saver for many families! In addition to the agreements within your own state, you can check out this website (www.transfer.org) or the League for Innovation in the Community College, which has articulation agreements between the more than 750 League Alliance Member colleges and several four-year universities. If you have a particular school in your sights, it’s a good idea to check with the Admissions Office or the Registrar at that college or university to ensure that you’re meeting all of their requirements. And be sure that you maintain the required minimum grade point average! If you are thinking of transferring from a community college to a four-year institution, you may also want to review this publication from The College Board, entitled, Improving Student Transfer From Community Colleges to Four-Year Institutions. A gap year is an opportunity for a student to take a year off between high school and college to explore a unique experience. Generally, this allows the student time to explore potential career options, learn about what subjects he or she may want to study in college, travel, and prepare mentally and emotionally for the next stage of life: college. We’ve had students involved with formalized programs like Outward Bound, Global Citizen Year, and Amigos de las Américas. We’ve also had students who took a year to live abroad studying language, art, cooking and culture. One student worked as an au pair in China and another worked in an animal conservation program in Africa. Websites including USA Gap Year Fairs, GapYear.com and The Center for Interim Programs have a few good resources that are worth exploring. The recently released redesigned College Scorecard (https://collegescorecard.ed.gov/) ensures that students and families have the most up-to-date, comprehensive, and reliable information available on colleges, all in an easy-to-understand format. The site allows visitors to sort and filter their search results to easily compare schools and decide which college makes the most sense when considering the typical costs, average student loan amount, students’ ability to repay their loans and their future earnings.